Day in and day out transactions are completed on the basis of measurements and the results obtained from them. Confidence in measurements forms the basis for every operation, whether it is measuring gas consumption, the price of a taxi ride, a number in a lottery being chosen at random, or industrial applications. NMi defines its mission, as an independent party, as providing ongoing underpinning for this confidence. The use of measuring instruments for commercial purposes, as referred to in the examples above, is subject to rules based on legislation. These rules guarantee that measurements meet certain requirements and there can be confidence in the results obtained with them. NMi tests and certifies measuring instruments and games of chance, and in so doing it helps manufacturers and suppliers to get into the world market. NMi is the independent specialist for testing, certifying and training in the fields of metrology and gaming. Manufacturers and end users can count on worldwide recognition of NMi test reports and certificates. NMi gives clients input and takes pressure off them. NMi outstrips market demand through innovation. 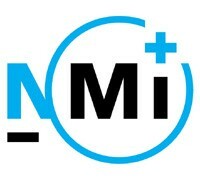 NMi is internationally recognised and has built up an enviable reputation as an independent testing and certification institute in oil & gas, utilities, weighing, volume and length, pre-packaging and e-marks, gaming and mobility and traffic law enforcement. NMi supplies its products and services all over the world. NMi has branches in the Netherlands, Italy, the United Kingdom and Canada and it collaborates with local organisations in China, Turkey and Japan. In addition NMi has had mutual recognition agreements for many years with such countries as China, Japan and Australia, as a result of which NMi test results are accepted in these countries for market access. Measuring instruments and games of chance are tested in NMi’s laboratories or, where possible, on location for compliance with applicable legislation and regulations. If necessary NMi develops test procedures in order to be able to demonstrate conformity. In so doing NMi enables international market access for manufacturers of measuring instruments and games of chance.